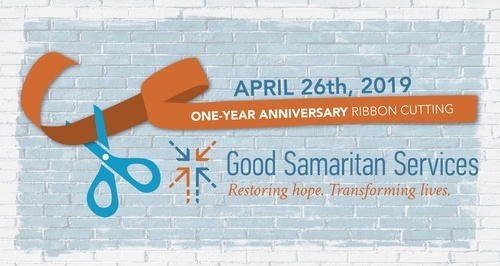 Good Samaritan Services will celebrate its one year anniversary with a ribbon cutting ceremony! Join the Chamber and Good Samaritan Services as we celebrate the one year anniversary of their Coatesville location remodel with a ribbon cutting ceremony! In April 2018 Good Samaritan Services renovated the Coatesville office with new flooring, new paint and an overall more professional and friendly appearance. Good Samaritan Services provides shelter and housing services to men, women and children across Lancaster & Chester Counties. They serve over 400 people every year. At the Coatesville office, the organization helps single mothers in Coatesville and all across Chester County get into permanent housing and work towards stability. They offer rental assistance for up to a year, professional case management services and mentoring groups. Some people may be familiar with the Coatesville office as the Bridge of Hope office. In December 2017, Bridge of Hope Lancaster & Chester Counties merged with Good Samaritan Shelter, forming Good Samaritan Services. The merged organization is more impactful and efficient. The Bridge of Hope program is still serving single mothers, just now under the umbrella of Good Samaritan Services.